The Heisman Trophy is awarded annually to the most outstanding college football player “whose performance best exhibits the pursuit of excellence with integrity.” The player that best represents what the Heisman is all about is Alabama’s star quarterback AJ McCarron. McCarron boasts an impressive 34-2 (.944) career record making him one of the winningest quarterbacks in college football history. He has three national championship rings, two of which he won as a starter. The Mobile, Alabama native owns Alabama’s records for career passing yards (7,997), touchdowns (68) and consecutive passes without an interception (291). Additionally, he is 12-2 against top 25 teams, and 7-1 against top 10 teams. McCarron not only excels on the field, but he is very active in the community by making hospital visits and speaking to kids at local schools. Since 2000, 11 Heisman Trophy winners were quarterbacks. The only outlier was Alabama’s Mark Ingram (RB Reggie Bush’s 2005 Heisman was vacated). 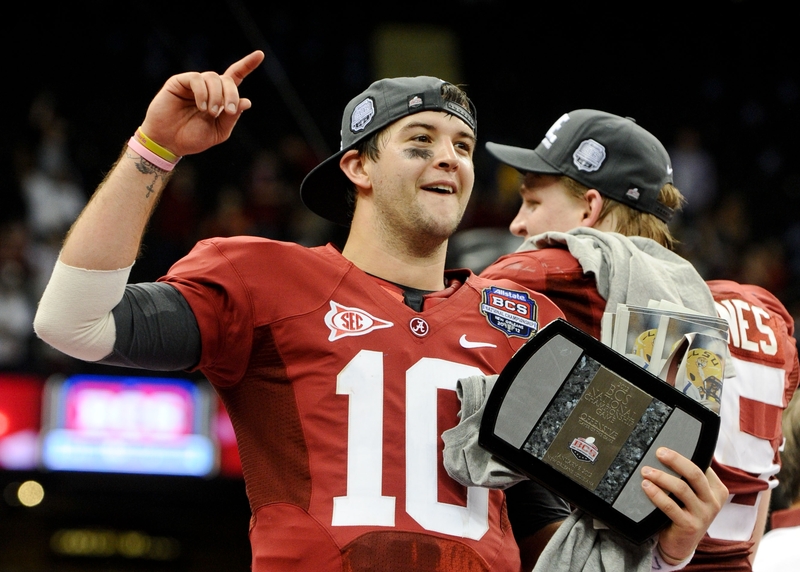 If the voting were today, the most deserving of the Heisman is Alabama’s AJ McCarron. His on-and-off the field performance truly represents the meaning behind the most prestigious award in college football.